ArtLine was created by Brice ANZIUTTI after leaving Volx (French hold manufacturer) where he worked for 5 years, so that he could freely indulge his creative urges ! 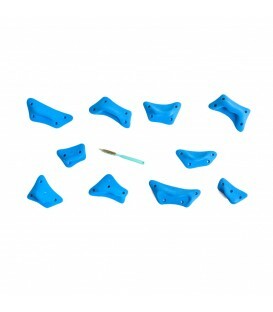 ArtLine is a private limited company based in Lyon, and specialised in research, design and marketing of climbing-related equipment, in particular artificial climbing holds. Turning the humble handhold into a real work of art, and with proven technical expertise, ArtLine wants to make people want to climb. 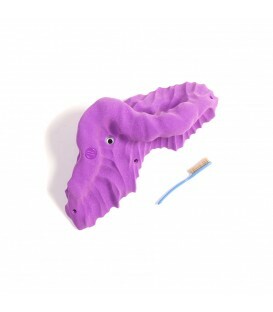 One big hold in shape of tufa with varienty of grips. Fastened with capheaded or countersunk bolts M10 (dual system). Bolts are not included. Set of interesting slopers. Fastened with capheaded or countersunk bolts M10 (dual system). Bolts are not included. One big hold in Bleau line. Fastened with capheaded or countersunk bolts M10 (dual system). Bolts are not included. One big sloper. Fastened with capheaded or countersunk bolts M10 (dual system). Bolts are not included. One big hold with varienty of grips. Fastened with capheaded or countersunk bolts M10 (dual system). Bolts are not included. Twenty crimp holds in Fresh line. Fastened with capheaded or countersunk bolts M10 (dual system). Bolts are not included. One big hold. Fastened with capheaded or countersunk bolt M10 (dual system) and wood screws. Bolts are not included. 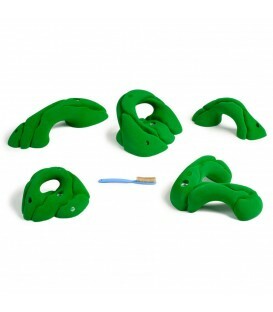 Five pinches holds of simple shapes. Fastened with capheaded or countersunk bolts M10 (dual system) and wood screws. Bolts are not included. Five holds of geometrics shapes. Fastened with wood screws. Bolts are not included. Five edges holds of simple shapes. Fastened with capheaded or countersunk bolts M10 (dual system) and wood screws. Bolts are not included. 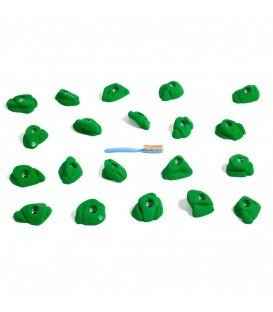 Ten small crimps holds. Fastened with wood screws. Bolts are not included. 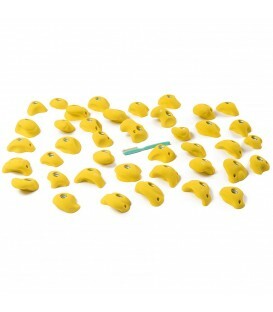 Ten footholds. Fastened with wood screws. Bolts are not included. Five big jugs in Fresh line. Fastened with capheaded or countersunk bolts M10 (dual system). Bolts are not included. Thirty holds pack of positive shapes in First line design. Fastened with capheaded or countersunk bolts M10 (dual system). 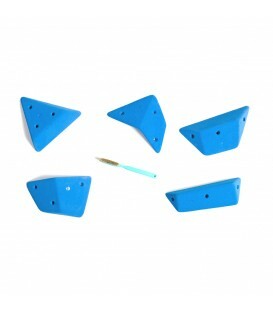 Holds are suitable for use on playgrounds or children walls. Bolts are not included. One positive Fatline hold. Fastened with 5mm self drilling screws. Screws are not included. Fourty holds pack of positive shapes in First line design. Fastened with capheaded or countersunk bolts M10 (dual system). 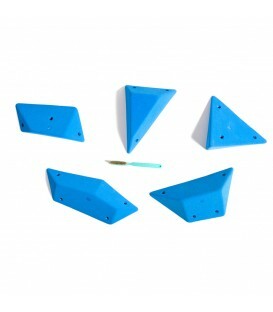 Holds are suitable for use on playgrounds or children walls. Bolts are not included.